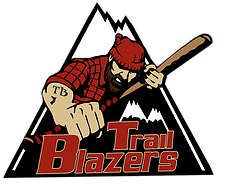 Albany at Cooperstown, 5:00 p.m.
Watertown at Amsterdam, 7:05 p.m.
Glens Falls at Mohawk Valley, 7:05 p.m.
Oneonta vs. Newark, 7:05 p.m.
*I think either "Wacky Wednesday" or "Wild Wednesday" would've been more appropriate for yesterday's notes. What a crazy day. *So, what's more rare? A no-hitter, 13 runs scored in one half-inning or 21-combined runs in a single full inning? Discuss. 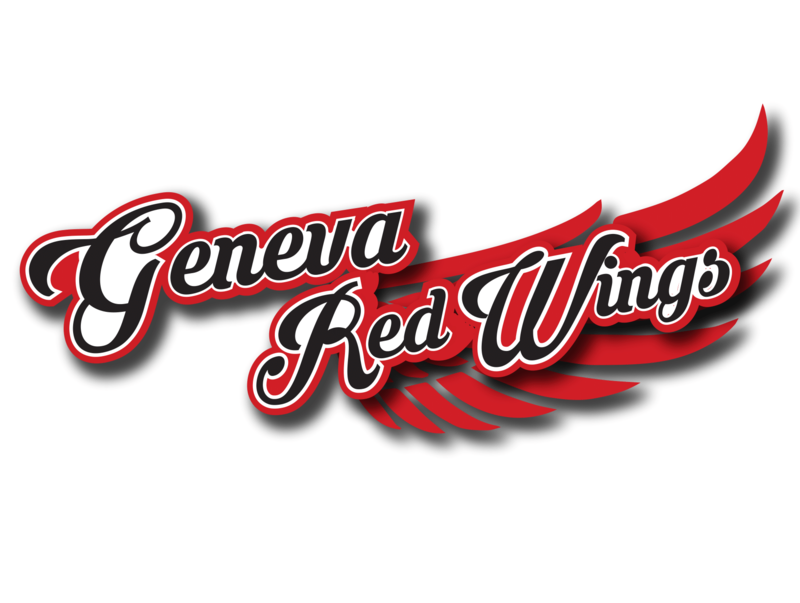 *There was a slight shake-up in the league standings as well with Mohawk Valley moving into a tie with Oneonta for second place and Glens Falls dropping to fourth place. Both Newark and Albany with their losses have become a little more removed from the main pack and Elmira and Watertown are both lurking in the shadows. Mohawk Valley and Oneonta are each 16-13 though Mohawk Valley, based on an 8-2 victory at Damaschke Field, has the head-to-head tiebreaker with Oneonta. Not to mention the DiamondDawgs have a suspended game currently where they hold an 18-9 lead over Cooperstown after seven innings. *Mohawk Valley's Jesse Buratt (Baton Rouge C.C.) threw the first no-hitter in league history on Wednesday evening against the Albany Dutchmen in the seven-inning opener of a twin bill. It's also the first no-hitter in the history of the Mohawk Valley DiamondDawgs franchise which can be traced back to 2006 as the Little Falls Diamond Miners. Wednesday night's game was just Buratt's second start of the summer. A utility player, Buratt has primarily been used as an infielder and in spot relief. Wednesday, he faced two batters over the minimum, walked two and struck out three. Buratt retired the side in order in four of his seven innings. Just four Albany players reached base, two on walks, one HBP and one on an error. *In two starts, Buratt is 2-0 with a 0.69 earned run average. He has earned victories over Amsterdam at Shuttleworth Park and Albany at Bob Bellizzi Field. Buratt has allowed one earned run on six hits, walked four and struck out eight. 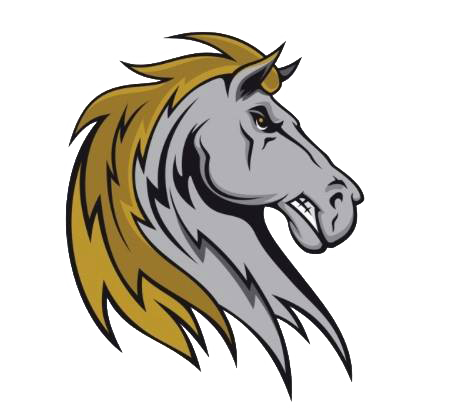 The Geismar, La., native held Amsterdam to one earned run on six hits and struck out five Mohawks in an 11-7 victory for Mohawk Valley on July 5. He will be attending Southeastern Lousiana in the fall. *One last note on Jesse Buratt (Baton Rouge C.C. ), his no-hit shutout against Albany is the eighth complete game shutout in league history. He is the first Mohawk Valley pitcher in the PGCBL to record a complete game shutout and just the second this season. *Mohawk Valley is now 6-0 all-time at Albany's Bob Bellizzi Field. *There's no question that a league record was set on Wednesday night when Amsterdam and Newark combined for 21 runs in the seventh inning which lasted over an hour at Colburn Park. The same can be said for Amsterdam's 13 runs in the top half of the inning, another league record. Overall in the seventh, the Mohawks and Pilots combined for 21 runs on 13 hits. Amsterdam had 10 of those hits. Batters also took advantage of nine walks. Amsterdam batted around the order twice and sent 19 batters to the plate while Newark sent up 12 hitters. Just to throw out the total number, that's 31 batters that walked up to the plate in the seventh inning alone. Amsterdam's Jeff Limbaugh (Parkland) nearly batted three times but a pinch hitter, Matt MacDowell (Darmouth) hit in his spot as the Mohawks started off the third time through the line-up. *Seven Amsterdam players recorded at least one RBI in the inning and Brian Ruby (Binghamton) plated three of Amsterdam's 13 runs. He drew a bases-loaded walk in his first at-bat and then socked a two-run single his next time up. Jeff Limbaugh (Parkland) opened the inning with a double and then laced a two-run double in his second plate appearance. Zak Colby (Faulkner) had a pair of RBI singles and Demarcus Henderson (Miss. State) added an RBI single and a bases-loaded walk. *Seven Newark batters had one RBI each in the bottom half of the seventh. Micah Easterling (UT Dallas), Ben Bostick (St. John Fisher) and Cash Barker (Texas A&M Kingsville) all drew bases-loaded walks while Chris Doyle (UC Davis) and Brent Langston (Delta State) each had a sacrifice fly. *Overall in the Amsterdam-Newark game there were 28 runs on 29 hits and six errors. Each team had three miscues and the Mohawks out-hit the Pilots 18-11. Eight pitchers were used. Lost in the offensive craziness was a four-hitter for Amsterdam's Rocky McCord (Auburn) through six innings. Amsterdam's Zak Colby (Faulkner) led all hitters for a 5-for-6 night and teammate Chase Green (SIU Edwardsville) collected four hits. Brian Ruby (Binghamton), who had three RBI in the seventh alone, drove in four runs. Ben Bostick (St. John Fisher) led Newark with three hits and four different players had two RBI each. *Amsterdam's Zak Colby (Faulkner) has two five-hit performances in his last three games. He is just the second player in league history to record two five-hit games in one season. Watertown's Erick Gaylord, the 2011 PGCBL Player of the Year, had two five-hit games last summer. Coincidentally, each time Colby has had a five-hit game, the Mohawks have put up 16 runs. Amsterdam has scored 16 times in two of its last three games, both performances have led to wins over Cooperstown and Newark. *From the coincidence department, nearly one year ago to the day, Amsterdam scored 16 runs. On July 13, 2011, the Mohawks crushed the Cooperstown Hawkeyes, 16-1, at Doubleday Field. There were no 13-run innings in that game though Amsterdam swatted six home runs and received a multi-home run game from Jude Vidrine (Lamar). *Amsterdam made several strong defensive plays early in the game against Newark before the offensive explosion in the seventh. With the Mohawks ahead 3-0 in the fifth, right fielder Jeff Boehm (Kentucky) caught a fly ball in right field and then threw out Newark's Chris Doyle (UC Davis) at home plate as he attempted to score from third. The play at the plate ended the inning. In the sixth, Newark scored a run and had men on the corners with two outs trailing 3-1. An attempted double steal back-fired and Zak Colby (Faulkner) combined with Giuseppe Papaacio (Seton Hall) to record the final out of the inning as the Newark runner from third attempted to score. *Newark has scored 12 or more runs in three of its last four games. The Pilots record in those three games is 1-2 with home losses to Watertown and Amsterdam. *One last note of the Amsterdam-Newark offensive fireworks and this isn't a stat as much as it is just interesting. Of all the runs scored in the game, none of them came on a home run. There were just six extra-base hits in the game, all doubles. *If you like triples, then Wednesday may have been the day for you. Four total triples were hit in five games. Mohawk Valley and Oneonta each hit two triples in the same game - Mohawk Valley in its twin bill opener at Albany and Oneonta against Cooperstown. Four different players had triples. *One quick note from earlier this week that I forgot about at the time and remembered yesterday. The old adage goes that the pitcher look to third, throw to first move never works. It did on Monday night in Glens Falls and it turned into a double play for the Golden Eagles in a win over the Albany Dutchmen. Albany had runners on the corners with no one out. Nick Pivetta (New Mexico J.C.), the Glens Falls starting pitcher, threw to third base to check the runner. A snap throw back across the diamond by Alberto Morales (Clarendon) picked the runner off of first base. The runner on third broke for home on the throw back to first and he was gunned down at the plate by first baseman Buddy Putnam (South Florida). Pivetta himself picked off a runner in the next inning as well. *Back to Wednesday night's wackiness, a couple interesting numbers from Mohawk Valley's doubleheader with Albany. Mark Stuckey (Marist) tied a league single-game season high in 2012 with five RBI on three doubles in the night cap. Tyler Heck (Union, N.Y.) tripled in the opener and had at least one hit in each game to extend his hitting streak to 11 games. Chris Cruz (Cornell) had two outfield assists in the night cap. Cruz ended the bottom of the second inning when he hosed an Albany runner at the home plate who was attempting to score from second on a base hit. He added a second assist in the fourth when he threw out a runner at third attempting to go from corner to corner on a base hit. *Mohawk Valley's current seven-game winning streak under head coach Roberto Vaz is believed to be the longest winning streak in franchise history. *Back to offensive fireworks. Mohawk Valley and Albany combined for just five runs in the opening game of their doubleheader at "The Bob" on Wednesday - Mohawk Valley won 5-0. The night cap was a little more offense friendly. The Dawgs scored five times in the top of the first and Albany responded with two runs quickly in the bottom half of the inning. Mohawk Valley added two more tallies in the second and one in the third to amass eight runs through three innings. *Nearly 3,000 fans at Elmira's Dunn Field saw a night of big offensive outbursts in a 13-run game between Elmira and Glens Falls which Elmira won 9-4. There were runs scored in just three half-innings. Elmira erupted for four runs in the first and five in the third to take a commanding 9-0 lead. All four of Glens Falls' runs came in the eighth inning. 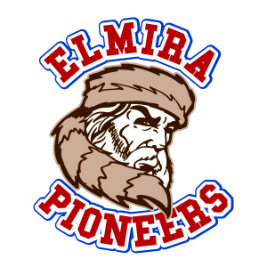 *Elmira had two standout performances in its win over Glens Falls. Starter Matt Holling (Hofstra) was excellent against the Golden Eagles. He threw a four-hit shutout for seven innings, walked three and struck out a season-high eight to earn his first win. At the plate, Landon Prentiss (VCU) went a perfect 4-for-4 and he drove in three runs in the third-inning with a bases-clearing double that put Elmira ahead 9-0. *Oneonta set a season high with 13 runs in a lop-sided win over Cooperstown. With the win, the Outlaws just about clinched the Mayor's Cup series with the Hawkeyes. Oneonta has won five of six meetings and there are just four games in the series left in 2012 between the two Otsego County rivals. Cooperstown will have to go unebaten in the final four meetings to force a series split. *The bottom of manager Greg Zackrison's line-up card for the Oneonta Outlaws did the most damage on Wednesday night. Hitters five through nine - Cody Hough (UC Riverside), Zach Lucas (Louisville), Zander Wiel (Vanderbilt), Forrest Johnson (Notre Dame) and Cory Hunt (Utah) - combined to punch out 13 of Oneonta's 19 hits. The quintet drove in 10 runs and scored eight runs. Zander Wiel went 3-for-4 with four RBI and two runs scored and Forrest Johnson had three hits, three RBI and two runs. *Despite a combined 14 runs between the Outlaws and Hawkeyes, Wednesday night's game in Oneonta lasted a brisk two hours and 25 minutes. *How can we possibly top Wednesday? Seriously? A walk-off grand slam? A 21-20 game? A perfect game? *The early game takes place in Cooperstown where the Albany Dutchmen play the Cooperstown Hawkeyes at Doubleday Field. The Dutchmen were riding high after Tuesday night's win at Amsterdam and that high quickly subsided in a doubleheader sweep at the hands of white-hot Mohawk Valley at home on Wednesday. The good news for Nick Davey's bunch is that Albany is 2-0 against Cooperstown and the Dutchmen have outscored their counterparts from Otsego County by a count of 17-7. The Dutch are also 4-2 in their last six road games. One of those wins was in Cooperstown where Albany reeled off 11 unanswered runs to overcome an early 6-0 deficit. Albany trails Newark by a half-game in the league standings and a win could help the Dutchmen pull even or ahead of the Pilots depending on what happens at Colburn Park. Cooperstown scored six runs in a single inning against Albany the last time the Hawkeyes hosted the Dutchmen. Cooperstown has been mired in a recent slump and the team hasn't won since a 9-8 victory in 10 innings over Amsterdam on July 3. The Hawkeyes have dropped seven in a row. Chris Blanton (CSU Monterey Bay) and Jacob Hubert (Laredo C.C.) have each been bright spots for the Otsegans this season. Blanton leads the team with 31 hits and his .301 batting average is tops among regulars. He has also commited just one error in 266 chances. Hubert has socked 30 hits and he leads the team with 19 runs, seven doubles and 12 steals. *Top four teams go at it at Vet's Park in Little Falls where surging Mohawk Valley hosts Glens Falls. The DiamondDawgs have won seven in a row and have not been defeated since an extra-inning heartbreaker on July 3 at home versus Albany. Over the past few days, MV's team batting average has risen from .260 to .270. Ten Dawgs are now hitting .250 or better and five swingers have at least a .300 batting average. Mohawk Valley also leads the league with 20 belts. In addition, Mohawk Valley has hit double digits in runs in five of their last seven wins. This will be the sixth game between the Golden Eagles and DiamondDawgs; Mohawk Valley has a 3-2 lead in the series. 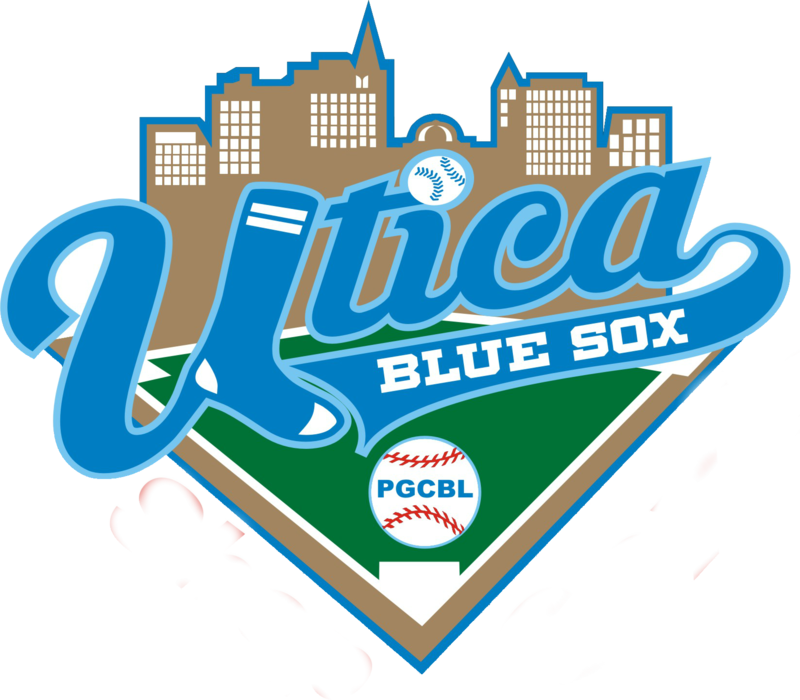 All five games were played in June and the last contest between the two was on June 30 at East Field - Glens Falls won 7-5. Each team has won on the others' field at least once. The Eagles have given up at least four runs in their last five games Glens Falls plated at least four runs in each of those games and won just once. This game is part of a tough road stretch for Glens Falls as the team made a four-hour bus ride to Elmira on Wednesday night and now plays in Little Falls, two hours away from East Field. The Green and Gold of Glens Falls is 6-8 on the road and the team has lost three in a row away from home since defeating Oneonta on July 4. 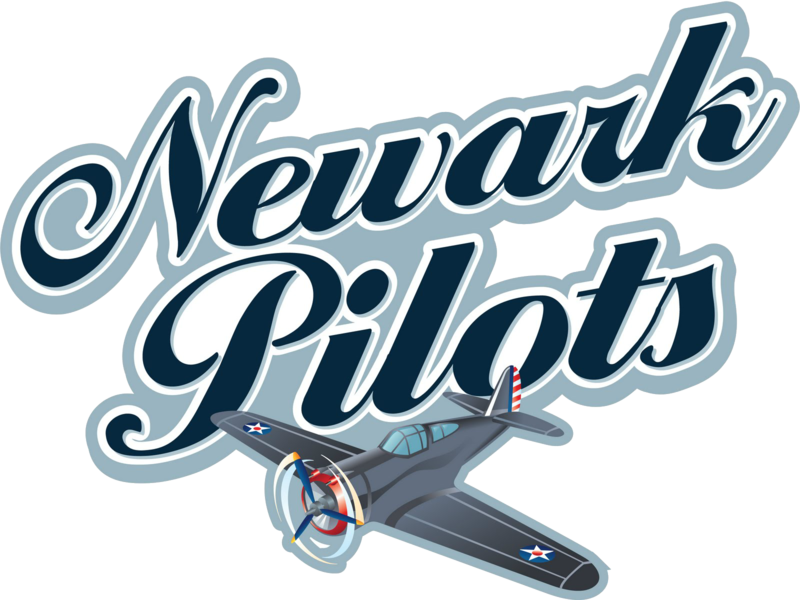 *When the Newark Pilots and Oneonta Outlaws played last Saturday night, the Outlaws were slogging around through a stretch which saw the team go 1-7. Oneonta had lost two straight and the night before fell victim to a late three-run rally by Elmira in a 7-6 defeat. Newark had beaten Watertown the night before and held a 14-12 record, good for second-best in the league. The Outlaws defeated the Pilots, 4-3, at Damaschke Field on a walk-off sacrifice fly from Omar Garcia (State College of Florida). Since then, Oneonta has won three more to form a four-game winning streak. The Outlaws have gallopped into a tie for second place with Mohawk Valley and are looking to solidfy a playoff spot. Oneonta has scored 32 runs in four games and that is buoyed by a season-high 13 that crossed the plate on Wednesday on 19 hits. The Outlaws, at one time one of the worst-hitting teams in the league, have boosted their batting average up to .263. On the other hand, Newark has dropped four of its last five. Two of the four losses have come in walk-off situations for Oneonta and Elmira, another game saw Watertown rally in the ninth and then win in the 10th and then Newark could not complete a wild comeback on Wednesday night. Since the win over Watertown, Newark has scored 43 runs but allowed 41. And 12 of the 43 scores came in a 12-2 beating of Elmira on July 8. The Pilots are in the midst of a four-game homestand which will run through Saturday night. On the outside of the top four looking in, the Pilots can drop Oneonta down a little with a win and can pull themselves back closer to the top four. *The irresistable force and the immovable object. Rocky and Apollo. Well, not quite but Thursday night we have one of the best road teams in the league in the Watertown Wizards playing one of the best home teams in the Amsterdam Mohawks. Watertown was off on Wednesday while Amsterdam played a marathon scorefest in Newark which is a modest but long drive from the Rug City. The Mohawks offense has been unbelievable in two wins over its last three games with 32 runs, 16 each in wins against Cooperstown and Newark. Amsterdam's team batting average is a jaw-dropping .301. The Mohawks have scored 229 runs in 30 games - an average of 7.7 per contest. Seven times Amsterdam has scored at least 10 runs and the Tribe has done it now three times in its last five games. The Mohawks, who received a strong start on Wednesday from Rocky McCord (Auburn), will send out league leader Chandler Shepherd (Kentucky) who is looking for his sixth victory. Shepherd leads the league in wins (five), ERA (0.26) and opponents' batting average (.148). Shepherd shut down the Wizards at the Alex T. Duffy Fairgrounds last month in a three-hit shutout over seven innings. Watertown owns an 11-4 road record and the Wizards have possibly the toughest travel slate in the loop. Watertown has won at every field this season with the exceptions being "The Bob" in Albany and Shuttleworth Park. The Wiz Kids fell in their lone trip to Amsterdam, 6-3, on June 30. But, Watertown is 7-2 in its last nine road games and that includes three wins in a row over Cooperstown, Newark and Glens Falls. It was just under one year ago on July 16, 2011, when Watertown's Erick Gaylord arrived at Shuttleworth Park and hit a league record four home runs in a 9-8 Watertown win.